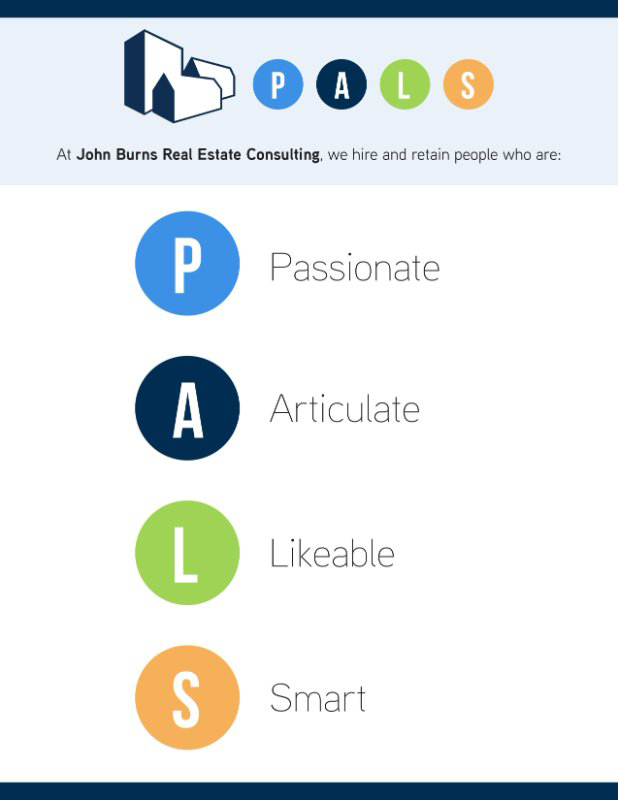 We hire and retain “PALS”: the most Passionate, Articulate, Likable and Smart people we can find. We also help under-performers find employment elsewhere. Most believe they qualify as PALS, but most do not, so let me elaborate. Passionate: You love what you do. You think about work during your free time. You are constantly in pursuit of being better. You have a competitive streak in you to make your team the best it can be. You read on your own time, and make friends in the industry who share your passion. You probably exercise to the best of your ability because you are just as passionate about your health, and have other passions as well. Articulate: You get to the point. You start with a well-thought-out statement, and can back it with facts, orally as well as in writing. You look people in the eye and speak confidently without filler words like “you know” or “kind of.” You use pronouns carefully, and people rarely ask you to repeat something or misunderstand what you say. Likable: You are even-tempered, humble, and smile frequently. You know people’s names and care about them. You follow Dale Carnegie’s secrets of success. People look forward to seeing you and talk positively about you behind your back. Smart: You are what Howard Marks calls a second-level thinker, synthesizing a lot of complicated and conflicting information into a cogent conclusion. You aspire to Einstein’s definition of genius: “taking the complex and making it simple.” You relentlessly pursue what you don’t know. Everyone except you remarks how smart you are. As you can tell, finding PALS is a difficult task. I am not sure I would hire myself. I should change my title to CHO, Chief Hiring Officer. I believe the most successful companies hire the best people, giving them the tools and culture they need to be successful, and then getting out of their way. I am always on the lookout for great team members. We hire a very small percentage of the people we interview, and every 6 months we actively review every employee’s performance to make sure they are performing at the high level we expect. If not, we help them achieve success at our firm or elsewhere. Once we determine we would like to hire a candidate, the real process begins. To help with our determination of Passionate, Articulate and Likable, we ask candidates to take three online assessments to help us determine if they are a fit. Usually, the assessments bring clarity to something we identified in an interview, provide great questions and topics to pursue in the followup interview, and help both the candidate and us determine if this is the right fit for both of us. The assessments always seem to give us more confidence in the hiring decision, and we use them throughout an employees’ tenure to set goals. The three assessments we use are the Berke, Devine and DISC. To determine how Smart they are, we often administer tests specific to that job, and we call references. I find it very difficult to determine how smart someone is in an interview. 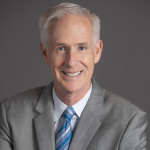 Education or job history can be misleading, although I do find that the smartest people tend to have been promoted quickly, have rarely been laid off, and many attended top schools and pursued advanced degrees. I always ask a reference, “What would you tell them they should work on to advance their career?” That sounds so much better than asking their weaknesses, but it is the same thing. One of my goals every year is to end the year with a stronger team than we started. Jack Welch and Reed Hastings have influenced my thinking there.Counseling people out is just as important as hiring and retaining. Every time we counsel someone out, several people usually thank me and I can see morale pick up. Early in my career, I would not have understood that. However, great people want to be proud of their company and to work with other great people, and take more pride in themselves and our firm when they see under-performers get counseled out. Try it sometime. It sounds harsh, but handled properly, the departing employee usually finds something that is a better fit for them. A win-win.